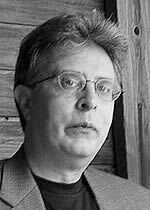 Thomas Ligotti was born in 1953 in Detroit Michigan, and grew up in that area. He worked as an editor for the Gale Group before leaving in 2001 to write full time. He has published numerous short story collections and won many regional awards for his fiction, which is described by some as Lovecraftian horror. Ligotti sites H.P. Lovecraft as a major influence on his life, since Lovecraft’s work led to his own writing, but has stated in interviews that the greatest influence on his writing is Edgar Allen Poe. Ligotti, who currently lives in Florida, is reclusive. CLICK HERE FOR MORE BOOKS BY THOMAS LIGOTTI. Thomas Ligotti is a master of madness. He writes short stories in the horror vein. Subterranean Press has collected eight of them, along with twenty vignettes or “flash fiction,” not more than 750 words, in the anthology Noctuary (originally published in 1994). The Spectral Link: Subterranean Press provides two spectral short stories. 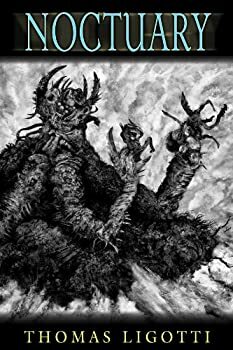 Subterranean Press has issued two original stories by Thomas Ligotti in a special edition volume titled The Spectral Link. 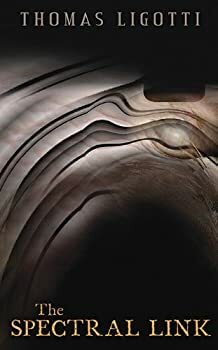 Ligotti is best known for a brooding, gothic style of psychological horror that avoids slashing, gore and disgusting body fluids for a deep, dark, almost spiritual sense of wrongness. He delivers that creepy sense of wrongness in both these tales.